1. Take your travel photography into the next dimension. Drone video and photography is now in the mainstream and it's actually pretty cheap to get started - and find a drone small enough to take on your trip. 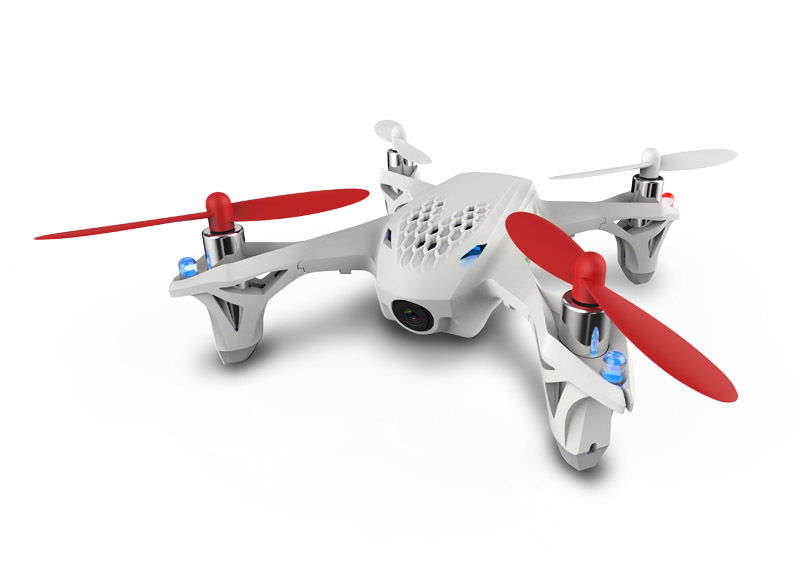 The tiny Hubsan X4 H107D FPV RC Quadcopter comes in at under £100 and has a built-in camera. 2. Smartphone batteries are the bane of modern life. You can guarantee that little battery symbol showing at 5% when you least need it. 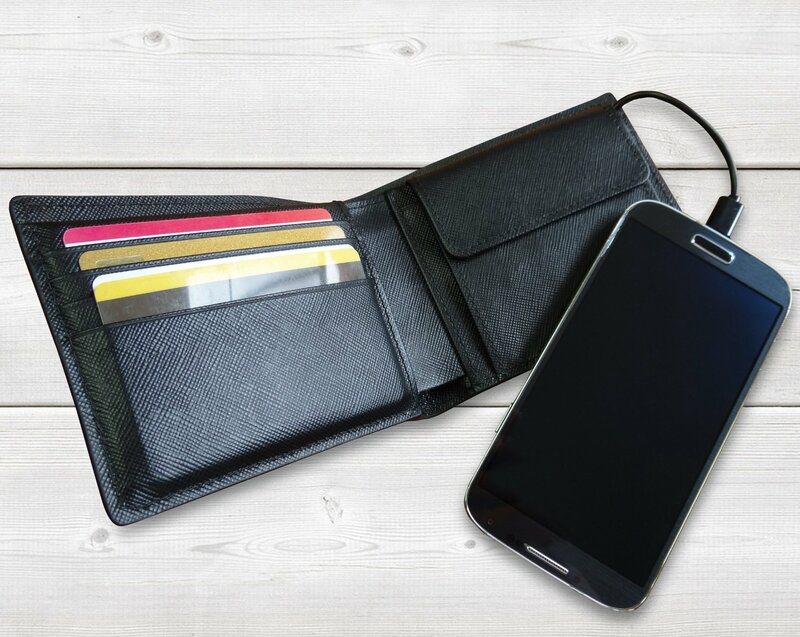 The Jadeco Power Wallet at around £55 is both a wallet and a charger - containing a 3000mAh Rechargeable Battery within its leather exterior, it's enough to fully charge a phone up to one and a half times. 3. The ray-soaking reverie of the sunbather is what many of us seek on a trip. Sadly, beach thieves can capitalise on your glorious trance. The last thing they're likely to steal however is your suntan lotion. 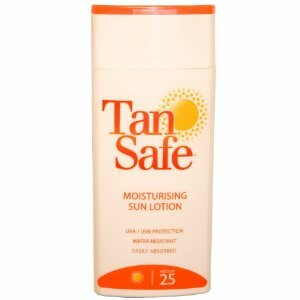 The Mighty Fresh Tan Safe Beach Safe at £7.99 is a water-proof beach safe that will secretly store your credit cards, keys and money - and is big enough to take a phone too. 4. Speaking of sun, we all know that too much exposure to UV rays is harmful, and that's double the case where kids are concerned. 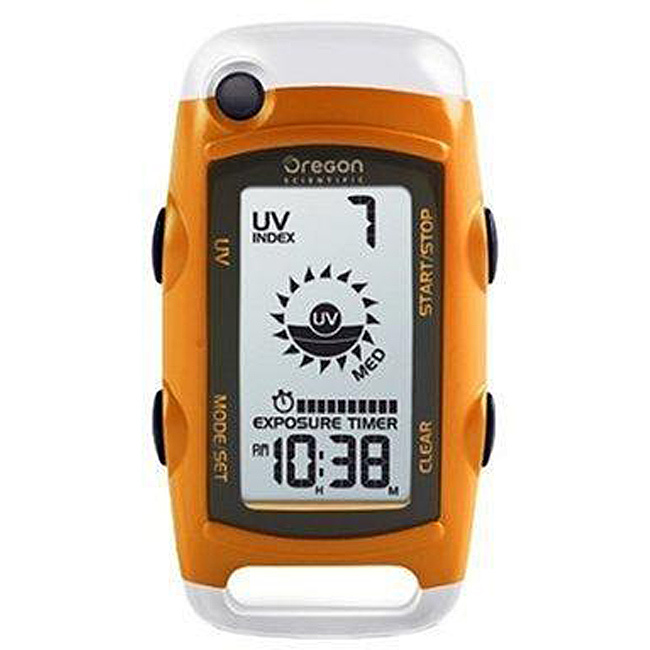 The Oregon Scientific EB612 Portable UV Monitor (£22) will tell the maximum sun exposure based upon SPF, UV levels and skin type and will also display the current temperature and time. 5. Most of us take at least one set of super-smart clothes on holiday. You want to look your best for that Michelin-starred restaurant, or compete with the locals on a Friday night promenade around the nearest town. Keep your finest threads crease-free with some easy to pack Wenko Inflatable Coat Hangers, £6 for two. 6. A bite or a sting from a nasty foreign insect is the centre of many a holiday tale of woe. While there's no absolute way of avoiding such a peril, at least some timely treatment can soothe the pain. The Boots Bite & Sting Relief Click It (£5.69) sends a small plazo-electric charge to the affected area and reduces to urge to scratch, meaning you don't turn an irritant into a disaster zone. 7. Is the pool the core of your holiday fun? With a special lycra coating, the Waboba water ball bounces on water, more like a skimming stone than a ball, and will keep you and your family active in the water. Different sizes, different colours - there's even one for the dog. From around £3.60. 8. Want a waist pack for your travels? Want the best waist pack? Get a Victorinox Altmont 3.0 Orbital. The makers of the famous Swiss Army Knives know how to pack a lot into a small space, and then keep it unobstructive. £24.99. 9. JBL are master speaker manufacturers. So why not take their renowned craftsmanship on holiday with you and get a JBL GO portable speaker that will stream music via Bluetooth from smartphones and tablets? Practical, with five hours of battery life, and stylish too, with eight colours to choose from. £24.99. 10. Need to transport that special bottle of something to celebrate a birthday or anniversary? As many of us know to our cost, baggage handlers are not the most sensitive of souls, so the VinniBag from Ellesco (£12) is the answer to their brute force. 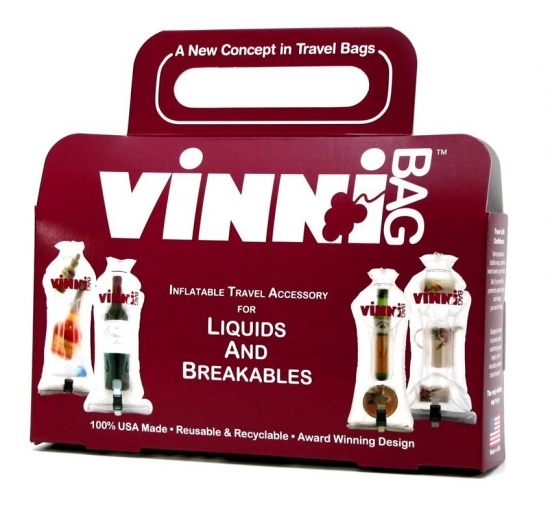 It has inflatable air chambers that protect fragile items, and fits around whatever it contains. Useful for more than just booze. 11. Like it or not, the selfie is here to stay. 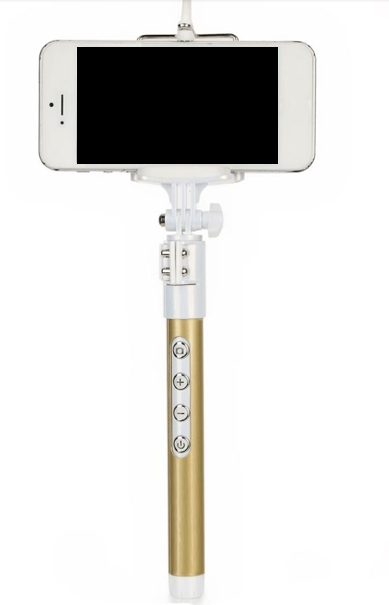 We like it, so how about a luxury selfie stick? The Selfie Pod Gold Limited Edition (£29.99) is made from lightweight carbon fibre. comes in metallic gold paint and boasts an integrated bluetooth camera button and a double use tripod. Which of these gadgets would you take on holiday?